Nat Tallents, recently appointed chef patron at The Plume of Feathers in Cornwall and former contestant on BBC cooking competition MasterChef: The Professionals, has launched her newly curated spring menu, the first since her move to the 16th century dining and accommodation destination earlier this year. 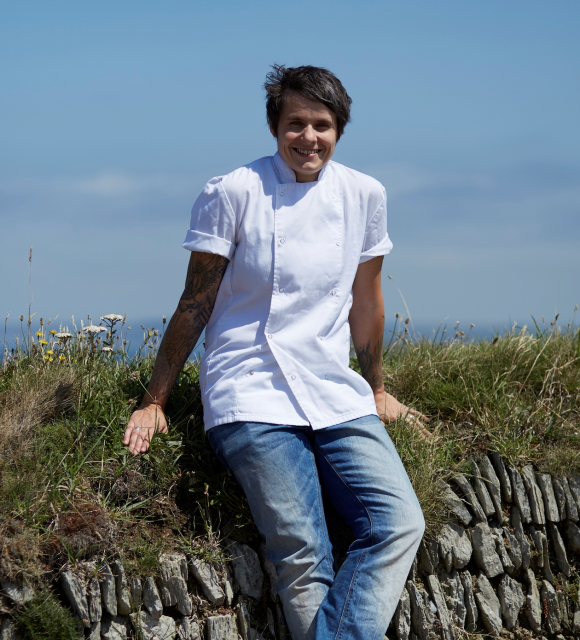 The executive chef of both The Plume of Feathers in Mitchell and its sister venue, The Lewinnick Lodge in Newquay, Tallents is now shifting her focus onto The Plume of Feathers as chef patron. Beginning her career in cooking at the age of 23, following eight years of working as both a waitress and as a restaurant manager, Lancashire-born Tallents held her first head chef position after only 18 months in the kitchen and in 2012, while competing on BBC’s MasterChef: The Professionals, had the opportunity to cook for one of her culinary heroes, Michel Roux Jr. Launched on the 25 March, the spring menu features locally-sourced, seasonal produce, with dishes such as Cornish braised lamb shank with Moroccan couscous, raita, pomegranate and micro coriander; pan fried seabass fillets with braised butternut squash, herb arancini, sun blushed tomatoes and orange and dill jus; Cornish fresh king scallops; and rhubarb with homemade custard. 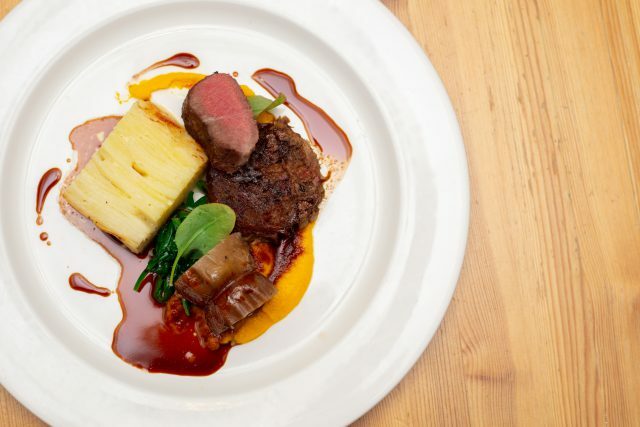 Centred around sustainability, many of the dishes include herbs from the inn’s own vegetable garden. In addition to the restaurant, the traditional Cornish inn offers designer guest-rooms situated within adjacent converted barns. On Thursday 2 May, guests will have the opportunity to attend a Taste of Spring event hosted by Italian wine producer Mezzacorona, offering a 5-course taster menu curated by Tallents, with each course paired with a complementing wine.